Ancient Bastion at White Pocket (Infrared) ©2018 James D Peterson. 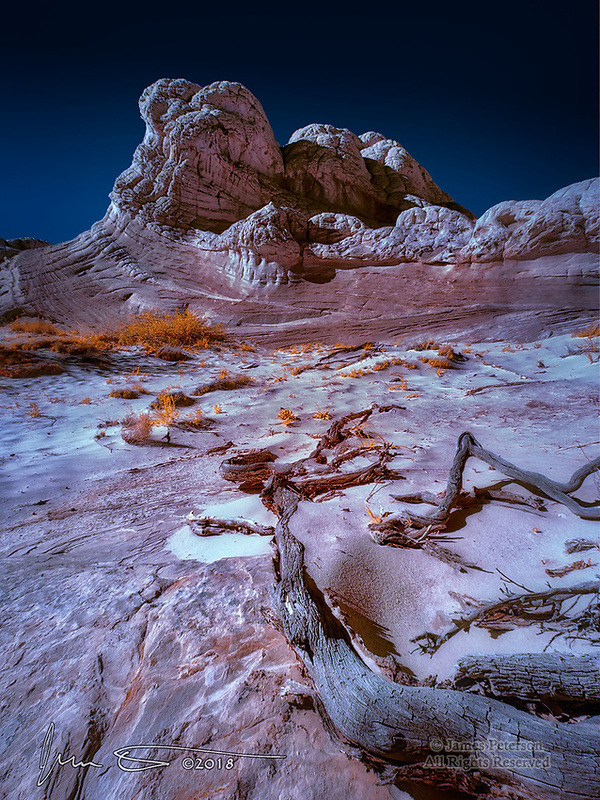 White Pocket is a rugged area of twisted, curved, folded, and jumbled sandstone formations in northern Arizona's Vermilion Cliffs National Monument. Dry, gusty winds scatter most of the sandy soil generated by erosion of these rocks, creating a harsh environment for the sparse vegetation that manages to gain a foothold.